The Carson Times has a review of Kim Lee’s Sushi & Teri, which just this summer moved into the old Java Joe’s location in the Kitzmeyer Furniture Factory. 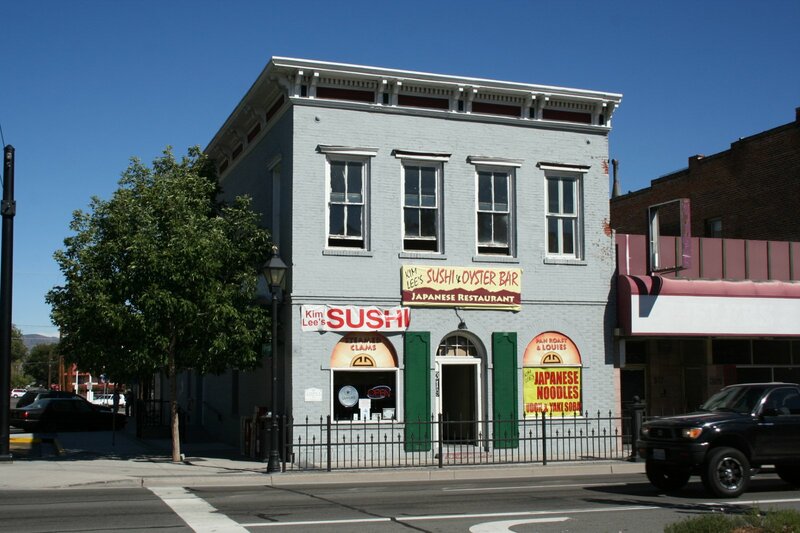 Kim Lee’s has always been my favorite sushi place, as well as the first sushi I ever had, 12 years at their Reno location. The article makes one mistake, though, saying that the restaurant is new to Carson City. Kim Lee’s actually has been in Carson for years, located one block away at the corner of Telegraph and Plaza. And before that it was in the Crossroads Shopping Center on Winnie for about a year. So it’s actually been in Carson for a long time, moving from place to place. That one error doesn’t take away from the glowing review the article gives, and I definitely agree that if you’re going to go to one place for sushi, go to Kim Lee’s. I actually haven’t been for a few years, because now that I’m old I can’t splurge on $20 for dinner anymore. And it’s hard to sit at the bar (the only place to sit in a sushi place) when you have little kids. Oh well. Some day I’ll go back. Have a Happy Roll for me. Next A(nother) Opening Date for the Ormsby House! hey bro next time I’m DOWN THERE I’ll take you out for a sushi dinner, if your old lady will let you sneak away for a couple of hours, or she can join us if you can find a babysitter.